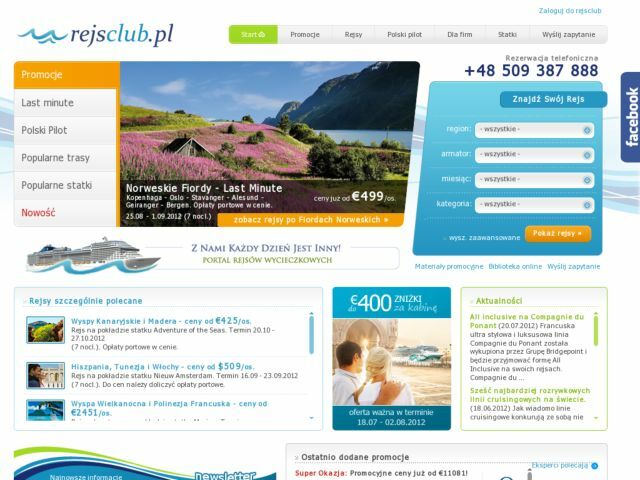 RejsClub.pl - Cruises are our passion! [HTML_REMOVED]b[HTML_REMOVED]Every day is different with us! [HTML_REMOVED]/b[HTML_REMOVED] Only on board luxury cruise ships, it is possible to relax in comfortable surroundings, and also travel around the world, and Wake up every morning in different world. Cruises - it[HTML_REMOVED]s our passion!